It’s early Sunday morning—the third Advent Sunday—so you are just in time to start preparing your kids for Christmas if you haven’t started yet. And if you have been following our plan, then you are ready for the final week before Christmas. Either way, it’s a beautiful Sunday morning and you have lots of opportunity left to prepare your kids for celebrating Jesus in Christmas! If you were not aware of them, go back and look at the previous suggestions and you may find some that work for you this week. You may also find some good music to introduce to the kids this week. Look in the right sidebar called Categories under Advent. You may also find some good texts and ideas from last year’s Advent series as well. Big Idea: Mary and Joseph travel to Bethlehem, not knowing much—but obediently. Such a short text for such a wonderful story. The trip from Nazareth to Bethlehem is 90 miles by car today, which is just an hour and a half, but by donkey (maybe) when you are nine months pregnant, it is longer and harder. And they probably did not go straight through Samaria because good Jews did not do that. They crossed the Jordan to the east and went down the east side of the Jordan until they had bypassed Samaria and came to Judea. Then they crossed the Jordan again and would have gone by Jericho and near Jerusalem on their way to Bethlehem. I’m sure it took them at least a week to travel—which is perfect for preparing your children! Find or make a map of Israel and trace their journey each day until you arrive on Christmas Eve. Trace about 20 miles each day and you will see where they were. Look on a historical map of Israel so that you can identify the historical sites that Mary and Joseph would have passed, especially the Jordan River and Mount Nebo. They would have been able to see many other mountains, valleys, and places where Old Testament events happened. That’s a good research project for older kids—and parents as well! Find a picture of a woman who is nine months pregnant and talk about how hard it is to walk. You might even put a pillow or something under your child’s shirt and let them see how hard it is to walk and bend, etc. What things would they have needed to take on their journey? Food and water! It would be like a picnic to eat as they traveled. Maybe you could do a picnic—indoor if you are not in southern California! Where did they sleep as they traveled? Maybe outside, but maybe at stranger’s house. Maybe your kids could sleep in a different room in sleeping bags on the floor as if it were a guest house along the way. What do you think Joseph and Mary talked about as they traveled? Make a list of things and talk about them with your kids. Do you think they talked about what the angel told Mary? Or what Joseph saw in his dream from God? Do you think they talked about the Messiah and what they had always been taught he would be like. Do you remember what you and your spouse talked about before your first child was born? 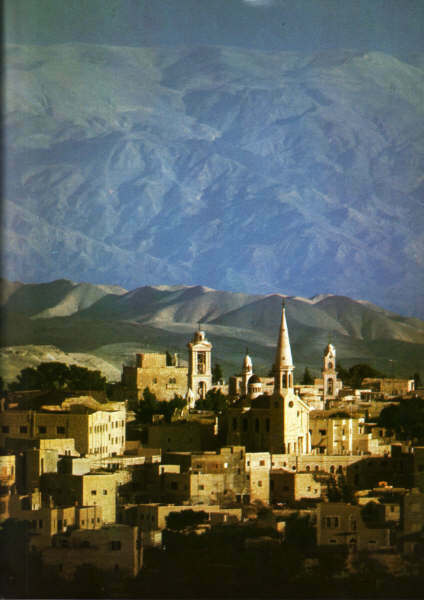 —If O Little Town of Bethlehem is not part of your Christmas repertoire, let me encourage you to add it. It’s a little harder to sing, but has beautiful words. –-Jesu, Joy of Man’s Desiring is a beautiful piece of classical music for Christmas–a Bach composition with words added later. You will find beautiful instrumental versions—especially the one by George Winston, but also sung by many artists, including Josh Groban, Sarah Brightman, and The Beach Boys. Watch on Thursday for the last Advent preparations before Christmas Day! If you were not aware of them, go back and look at the previous suggestions and you may find some that work for you this week. You may also find some good music to introduce to the kids this week. Look in the right sidebar called Categories under Advent 2011. You may also find some good texts and ideas from last year’s Advent series as well. –-Jesu, Joy of Man’s Desiring is a beautiful piece of classical music for Christmas. A Bach composition with words added later. You will find beautiful instrumental versions—especially the one by George Winston, but also sung by many artists, including Josh Groban, Sarah Brightman, and The Beach Boys.